You can make a mind map with no hands in just three steps on an iPhone. 1. 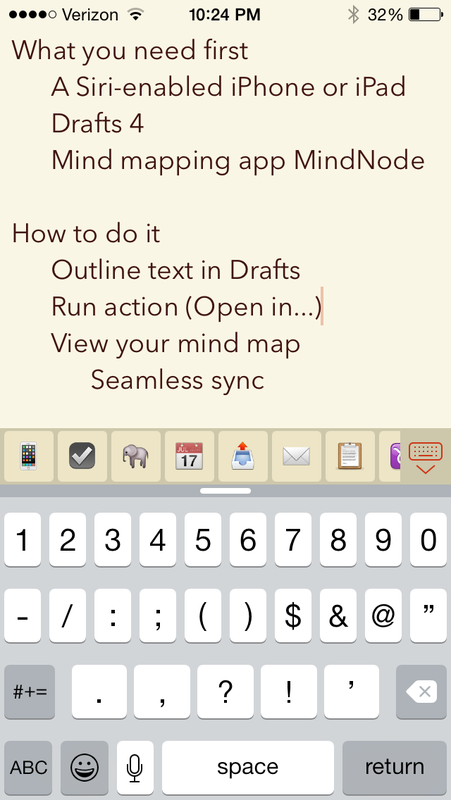 Outline the text of your mind map in Drafts. To get going, use Siri to record what will be your first node. To get to a second node, simply say, “New line, new line” and say what your next node will be. If you want to do sub-nodes (i.e., “children”) after you have dictated your main/parent node, say, “New line,” and then have Siri indent your sub-node with the “tab key” command. Then dictate that sub-node or child. You can add more parent, child, and sibling topics similarly. 2. 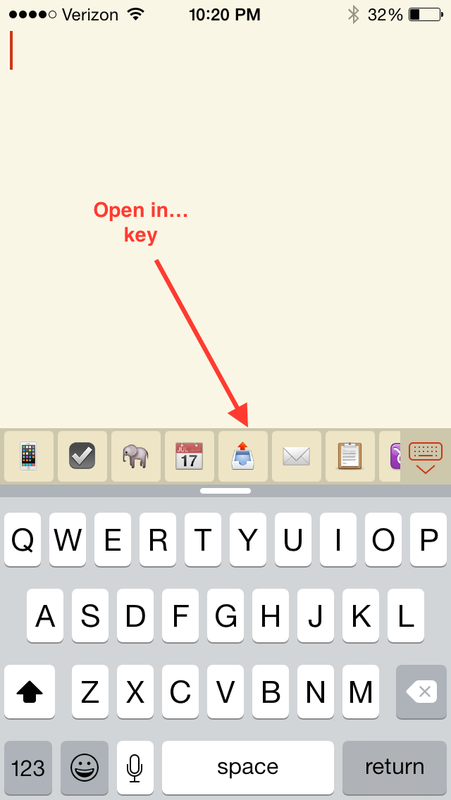 Run your “Open in…” action in Drafts. 3. 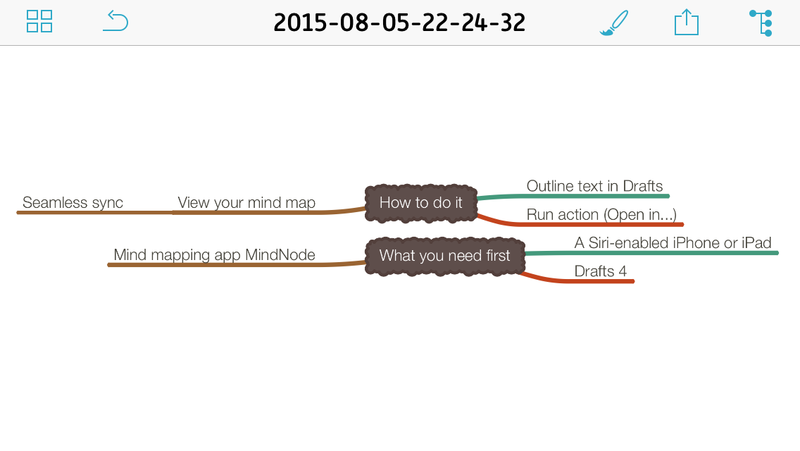 View your mind map in MindNode. 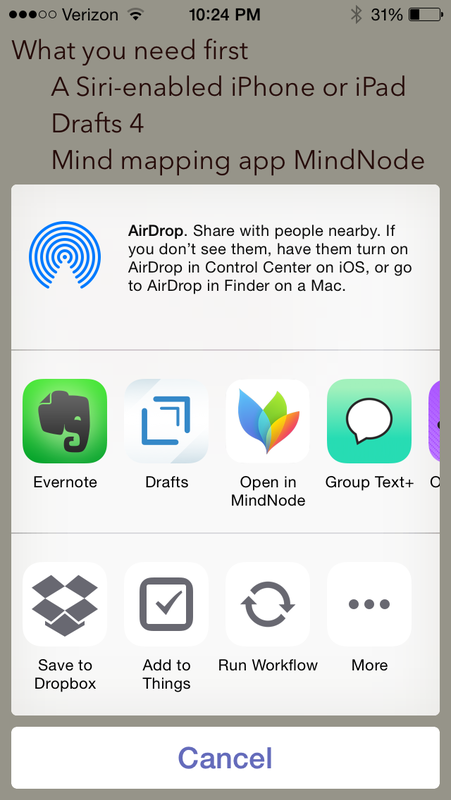 Because of MindNode’s iCloud-enabled sync setup, you can now view (and modify) your mind map in iOS or OSX platforms. The above is an adaptation/re-posting of a previous post on voice dictating a mind map. That post used the app iThoughts, but I learned shortly after posting that even though MindNode doesn’t have the x-callback-url support that iThoughts does, Drafts’s “Open in…” feature makes the same process possible with just one extra tap. Rad.